Imagine a chair that stylishly complements a spontaneous gathering of sofas. A chair your dinner guests are happy to sit on. A chair that provides a tranquil haven in the ever-more diverse spaces in your life. 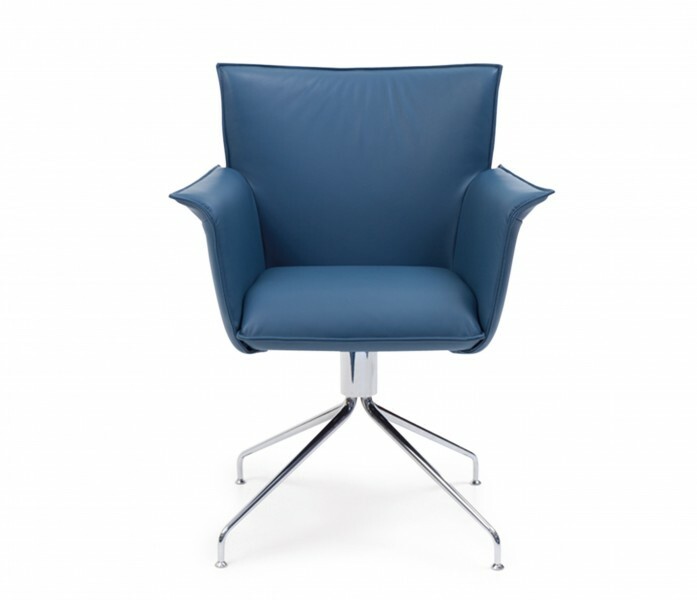 The new Rolf Benz 630 hybrid chair/armchair ticks all these boxes perfectly. The Rolf Benz 630 hybrid chair/armchair enhances a space both as a standalone and in a group. It gives you the incredible sitting comfort of an ergonomic shell with fixed upholstery and generous curving armrests. Both filigree and sculptural, the chair becomes a present-day traveller through the living spaces of design-savvy owners. Its delicate swivel base can be configured in three different versions.